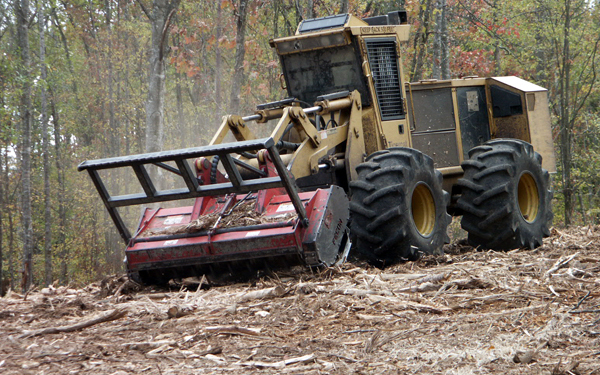 We call our services Forestry Mowing while others may use the term Forestry Mulching to describe it. 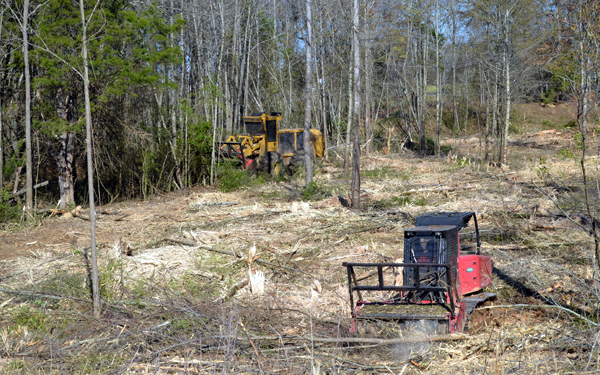 Forestry Mowing provides environmentally-friendly land clearing by mechanically mowing brush and trees, which creates nutrient-rich mulch. 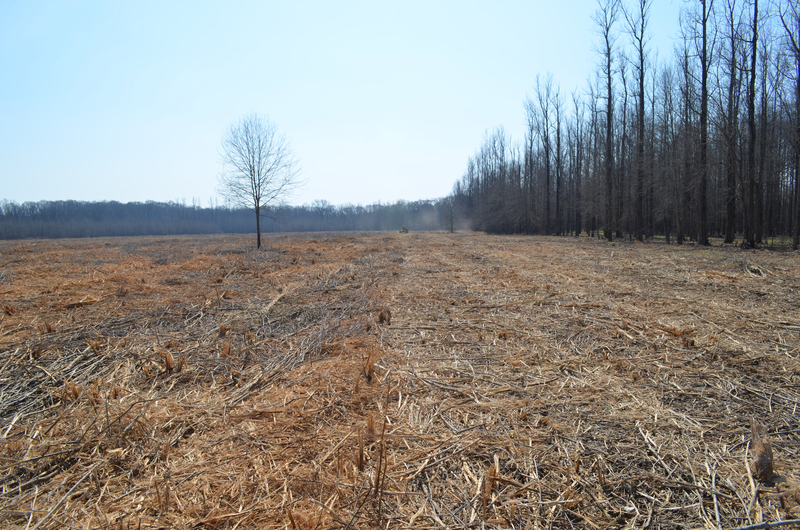 This method helps prevent erosion and runoff pollution by not disturbing the root structure of larger trees and by redistributing mulched material onto the ground. Hardy Vegetation Management has different sizes and options of equipment to meet our customer's needs. As an example, our large 240hp mulcher with 8' mulching head makes quick work of even the most overgrown property. This high horsepower machine is capable of mulching trees up to 12 inches in diameter, as well as flush grinding larger stumps left over from logging operations. Creating food plots, clearing roads & trails, clearing lanes to view wildlife.